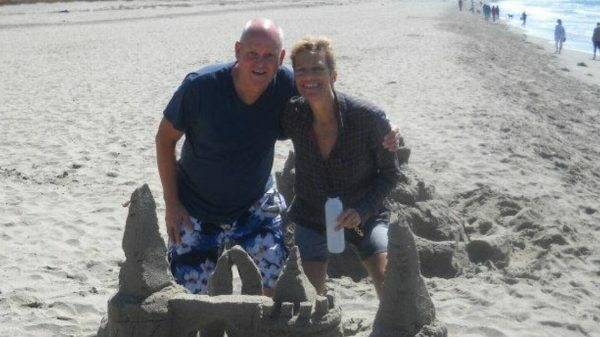 Margo Benson-Hammer, the widow of Russell Hammer, is suing the San Luis Obispo County Sheriff’s Office, Sheriff Ian Parkinson, the county public health department and other county agencies and officials over her husband’s death. Among other allegations, the lawsuit states sheriff’s deputies placed Hammer in solitary confinement and did not provide him with his prescription medications while he was in jail. On Nov. 6, 2017, Morro Bay police arrested Russell Hammer after he stabbed his wife at a recreational vehicle park. Hammer’s wife survived the attack and objected to her husband’s arrest. Within 24 hours of arriving at the SLO County Jail, Hammer decompensated to the point he was eating his own feces “per command auditory hallucinations,” according to the suit. Even though one of the guards had identified Hammer in a form as a gravely disabled, the guards did nothing to help him. A week later, a county doctor wrote a note expressing concern that Hammer had psychosis and strongly recommended that he be placed in a psychiatric facility, the lawsuit states. However, Hammer was kept in the jail. Early in the morning of Nov. 27, 2017, Hammer told a guard that he was feeling ill. While staffers were moving Hammer in a wheelchair to the medical unit, he lost consciousness. Hammer, 62, died of a deep vein thrombosis after being brought to the jail’s medical facility. Benson-Hammer alleges the sheriff’s office was aware of the conditions and the problems at the jail because there had been 12 inmate deaths since Sheriff Ian Parkinson took office in 2011. In 2017, the county paid a $5 million settlement to the family of one of the deceased men, Andrew Holland. The widow’s suit lists numerous complaints, including wrongful death and intentional or reckless conduct. Benson-Hammer is seeking damages and an injunction ordering the county to provide all inmates adequate health and mental health care. This legal avenue is becoming a popular street. It is getting far too commonplace. And accepted.